Our fully automated warehouse management system monitors your inventory in our warehouse in real time, from receipt to destination. 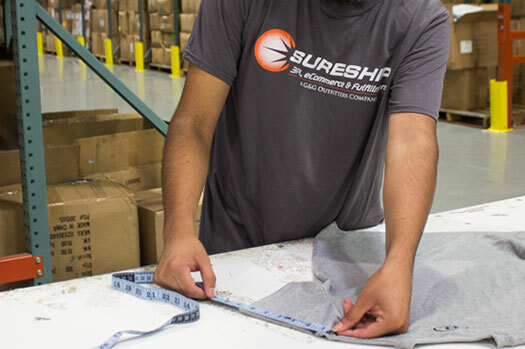 SureShip provides effortless on demand inventory shipping to multiple locations. SureShip creates a complete custom eCommerce solution to meet your organization’s specific needs, from responsive theme design and agile site development, to credit card processing and fulfillment integration. Let SureShip help you simplify your trade show and event planning by delivering your organization’s promotional materials, displays and supplies. SureShip provides a wide variety of value-added solutions to meet our clients’ needs and reduce material overhead and inventory cost. Services we provide include gift-wrapping, retail sales packaging, kit bundling and special projects. You manage what you measure, and SureShip provides you access to sophisticated dashboards and reports that will provide you with deep insight into your inventory and orders. SureShip is a technology driven organization which continually reinvests in its technology, people, and processes. This culture of innovation creates a very flexible, efficient, and cost effective fulfillment platform. 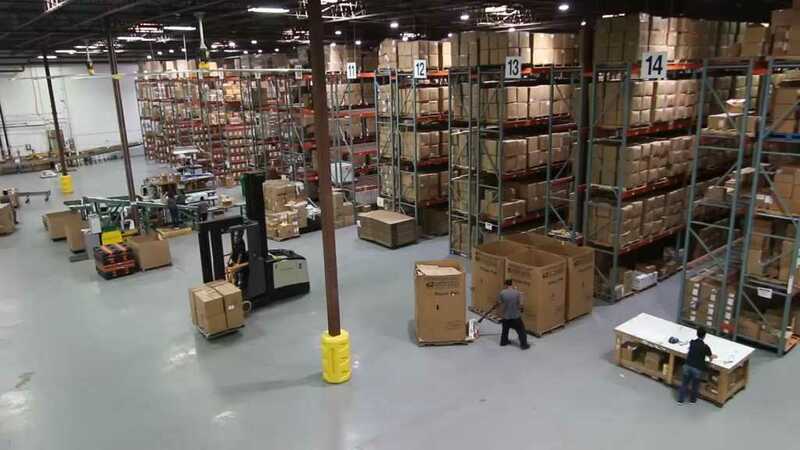 Our fulfillment center is located outside of Washington, DC which provides our clients quick access to their inventory, and guarantees that they have a socially responsible fulfillment partner. Let SureShip manage your logistics so you can keep your focus on what really matters; clients and members! Our logistics experts will work with you to identify, analyze and eliminate your current logistics headaches. From freight consolidation to complete transportation transparency, partnering with SureShip’s dedicated logistics specialists provide your organization with powerful business intelligence tools. These tools will help you better monitor, visualize, and manage your logistics expenses. SureShip provides a variety of channels to integrate your existing order management solutions with our warehouse and fulfillment solutions. Each integration model provides end-to-end secure communication of your important customer data, and ranges rapid out of the box APIs to custom solutions that require minimal effort on your end, facilitating a smooth fulfillment process. Companies of all sizes can leverage SureShip’s professional fulfillment advocacy to assist in reducing costs and creating transparency. 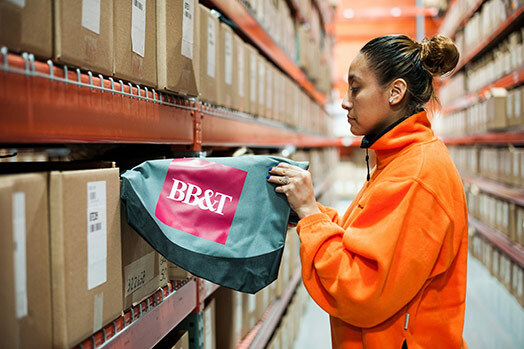 Our integrated warehouse management software system allows us to fulfill your orders accurately, efficiently and cost effectively. 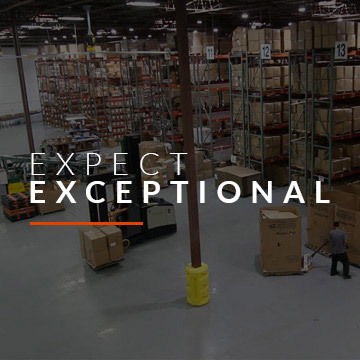 Our state of the art facility is conveniently located outside of Washington, DC and less than an hour away from the Port of Baltimore, which allows your products to reach 1/3 of the U.S. population and industrial base within 24 hours. SureShip’s Client Solutions team is available 24 hours a day, 365 days a year via phone, email or instant message. A dedicated client advocate will always be available to assist your customers or members at every step of the order and fulfillment process. From gift wrapping and retail sales packaging, to kit bundling and special projects. SureShip works with a number of industries ranging from financial to non-profits, government to hospitality and more. We offer an industry-focused, partnership approach and strive to deliver exceptional experience to our clients. Please call 301.577.7550. SureShip can help you reduce costs and boost efficiency!